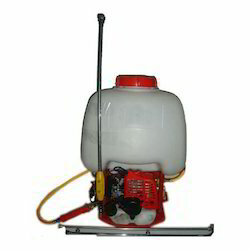 Customers can avail from us an comprehensive range of Powder Duster Sprayer. This unit is provided to carry out the following agricultural operations for plant protection. Its service extends to liquid mist blowing, dust blowing and wide dusting. Nature gold ng-ps-900a 4 stroke 25ltr. Power sprayer. 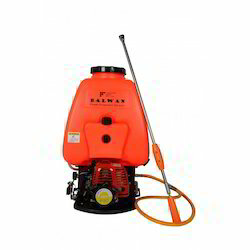 Being one of the trusted firms in the industry, we are highly engaged in providing a unique range of Power Sprayer Machine. We are actively engaged in trading an extensive range of Power Sprayer for catering the diversified requirements of our clients. Hand Driven Line Sprayer 3/4"
Hand Driven Line Sprayer 3/4". These models are mainly used to apply leaf fertilizers and soluble substances protecting plants against diseases, pests and weeds. All elements of our sprayers are precisely tested before final completing. Reaper Binder is a Multi-Functional machine suitable for doing various jobs. After Harvesting the grain crops with the Reaper Binder, the same machine can be easily converted into a Powered Spraying unit for Effective spraying of Pesticides, Weedicides, Fertilizers on various Field Crops like Wheat, Paddy, Cotton, Soyabean, Vegetables and Orchards.